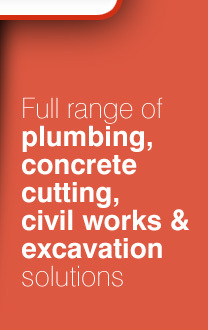 Exact Plumbing Pty Ltd was incorporated in 1994. We have experience and expertise in Plumbing, Gasfiitting and Drainage and are dedicated to maintain high standards of workmanship and services. Exact Plumbing is renowned throughout the plumbing industry to provide a diverse range of plumbing expertise in three major industries Residential, Commercial and Industrial. Our Vision is to a leader in plumbing service provision within the Sydney metropolitan area through our commitment to excellence, capacity to be dynamic and flexible and the organizations capability to provide for our community interest. We recognize that over time the definition of our community interest changes and we endeavour to keep abrest of these changes to ensure our continued ability to commit to this group. Exact Plumbing is staffed by ten qualified tradesman and two apprentices who all wear distinctive uniforms and are fully OH&S accredited. We have 6 fully equipped service vehicles which are easily identified by our distinctive sign and logo and carry the latest diagnostic tools and equipment.